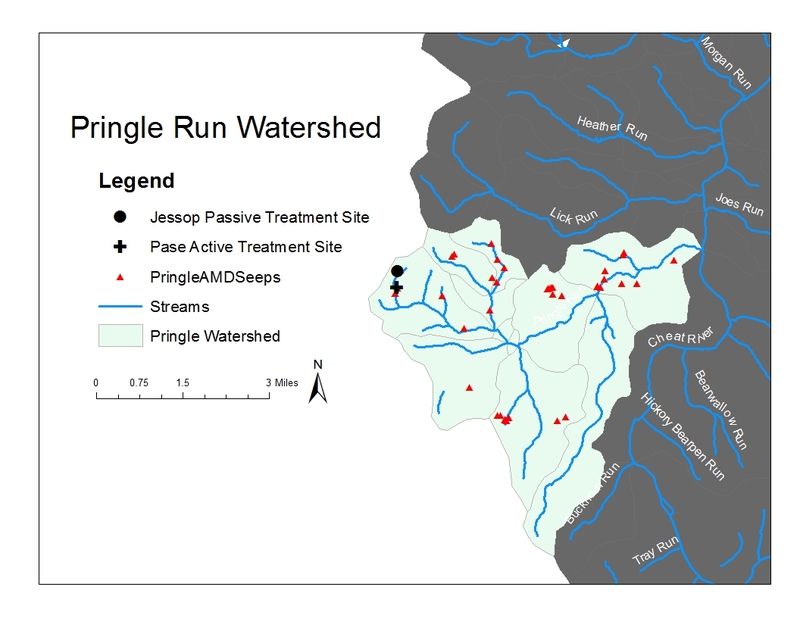 The Pase Active Treatment project is located in the headwaters of Pringle Run along an unnamed tributary near Tunnelton, West Virginia. 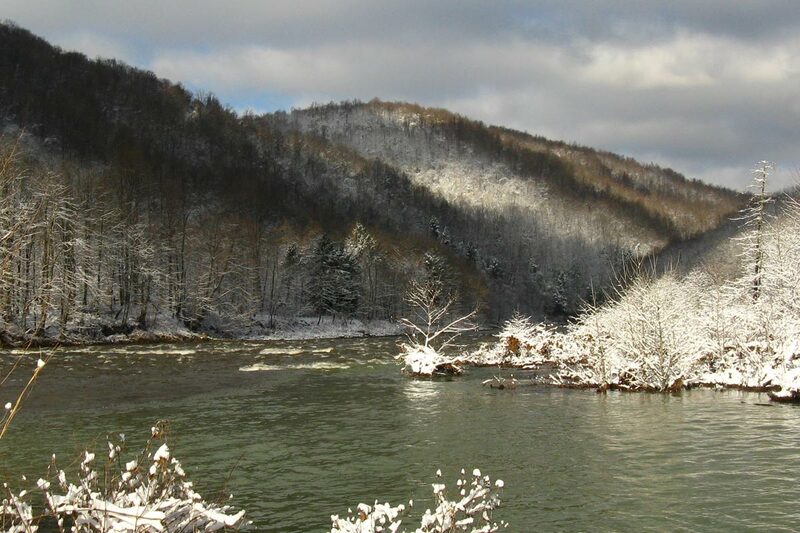 Pringle Run drains directly to the Cheat River. 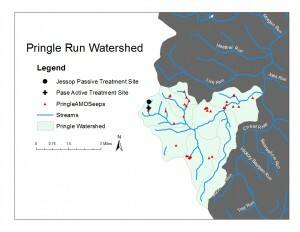 Pringle Run is severely impacted by acid mine drainage (AMD). The TMDL (2011) indicates Pringle Run is impaired by aluminium and iron concentrations. Abandoned coal mining operations date back to the 1930s and are scattered throughout the watershed. The project site consists of one draining underground Upper Freeport mine portal as well as another portal approximately 50 feet away that only discharges during high flow periods. The portals are a major source of acidity and metals associated with a legacy of coal mining practices. Acidic mine water flows from two Upper Freeport mine portals and one seep contributing 220 pounds per day of acidity, 14 pounds per day of aluminum, and 7 pounds per day of iron to an unnamed tributary of Pringle Run. Friends of the Cheat has worked to treat the acid mine drainage emanating from the Pase site since October 2004 using passive treatment technologies. The initial treatment consisted of a vertical flow bioreactor in sequence with an anoxic limestone drain (ALD). Due to low reductions in the acid load, the project was renovated in 2006. A limestone leach bed was added above the vertical flow bioreactor. New organic matter was also added to the vertical flow reactor and rapid flushing valves were added to the ALD. In 2009, the Office of Surface Mining recommended the use of active treatment technologies. 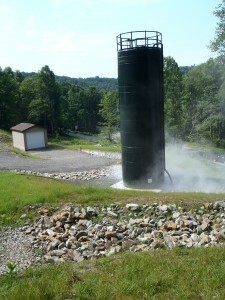 In 2012, the site was re-constructed to treat the water using a lime dosing silo. The existing treatment structures are still not able to treat 100% of the water. Friends of the Cheat has received funding from West Virginia Department of Environmental Protection (WV DEP) Clean Water Act §319 and will apply for funding from Office of Surface Mining (OSM) Watershed Cooperative Agreement Program (WCAP) for 2015 – 2018 to improve the site.